Add some French, gothic inspired elegance to your interior with this stunning wall mirror complete with a large candle sconce. Offering a dramatic look for a luxuriously styled living room or hallway. 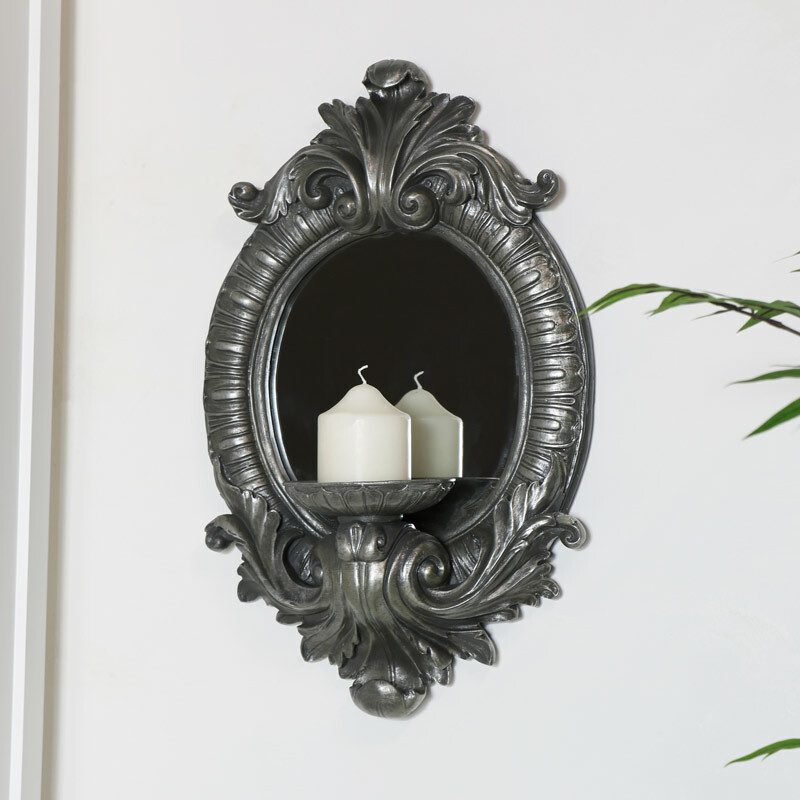 The oval shaped mirror is beautifully highlighted by the ornately carved silver frame which extends out to the stunning candle holder. 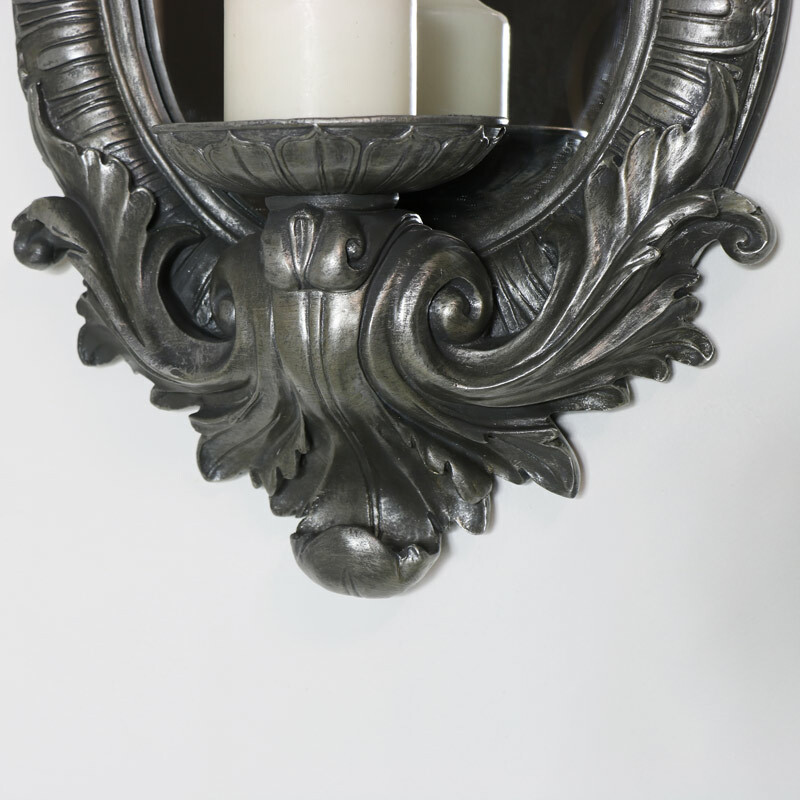 The sconce will easily hold a large tealight or pillar candle. A fabulous look for the living room or hallway, this mirrored candle sconce will look perfect used on it's own or in pairs. Add some French, gothic inspired elegance to your interior with this stunning wall mirror complete with a large candle sconce. Offering a dramatic look for a luxuriously styled living room or hallway. 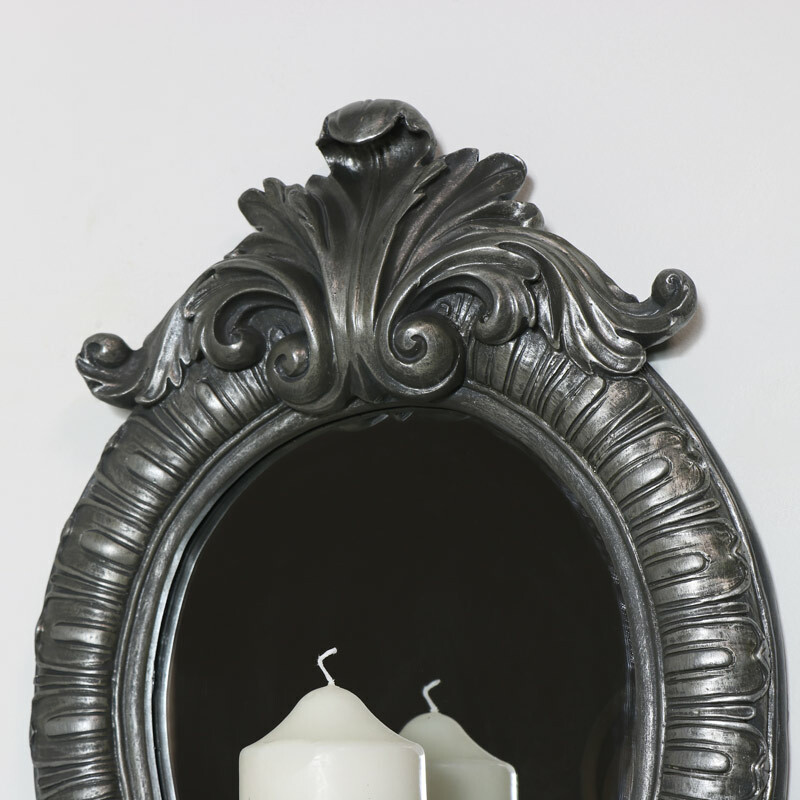 The oval shaped mirror is beautifully highlighted by the ornately carved silver frame which extends out to the stunning candle holder. The sconce will easily hold a large tealight or pillar candle. A fabulous look for the living room or hallway, this mirrored candle sconce will look perfect used on it's own or in pairs. The frame is made from a strong durable resin with the oval mirror firmly held in place. Easily wall mounted with a hole on the back for attaching to a wall hook (not included).